A caring funeral home that serves bereaved families in Liberton, South Edinburgh. Not only were we treated with great care and respect but Christine made it as easy as it could possibly be by explaining and arranging every detail. She was so kind and gentle and took great care of my husband. I wouldn’t hesitate to recommend them to family and friends. Conducted our funeral with the utmost professionalism and understanding even when the service overran somewhat special thank to Elaine at Liberton Boyle family. 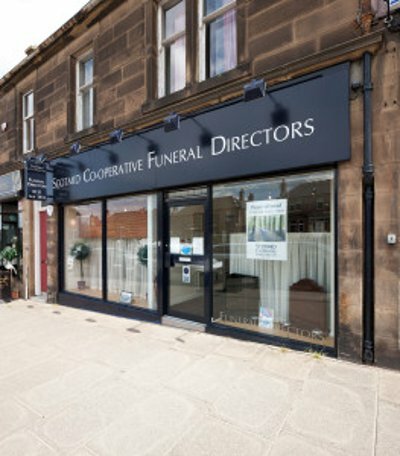 This funeral home in Liberton is proud to be a part of Scotland’s largest independent co-operative, with a rich history spanning over 150 years. Scotmid is proud to be at the heart of the local communities it serves, with its Liberton office located in the south of Edinburgh. Their office is on Liberton Brae, close to Liberton Cemetery and Mortonhall Crematorium, with no parking restrictions in the surrounding area, four miles south of the city centre. Thank you for your warm efficient help at such a difficult time. Quietly ensuring everything was just right. Elaine was great, as she was when my Mum passed away in February. Very helpful, sympathetic and professional. Scotmid Funerals, Liberton will provide you with a free obituary as part of their service.